Colour plays a big part in our world. From a branding perspective, you can use colour to help connote a variety of different feelings to help your target audience understand what your brand is all about. 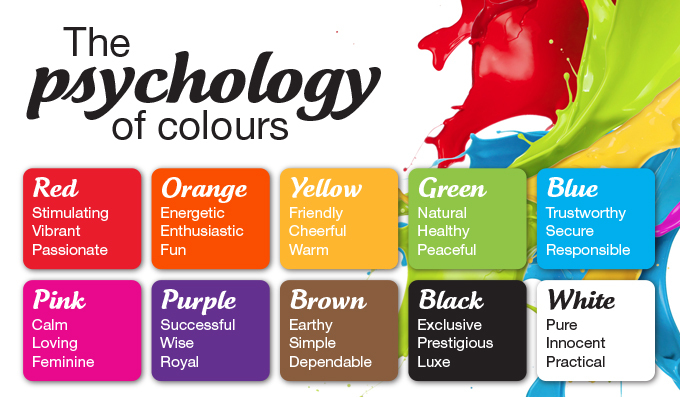 Colours have different meanings to each individual but generally a few key themes and feelings evolve from colours. Take the colour Red for example, known for both love and danger – two completely opposite meanings, one people strive for and one we try our best to stay away from. The colour red in marketing may create a sense of urgency, which is good for clearance sales but it also suggests a sense of excitement and passion, good for brands such a Red Bull. The Colour blue may be associated with peace, water, tranquillity and perhaps reliability. The most common use of blue in a brand identity is for companies wishing to create a sense of trust in their products. 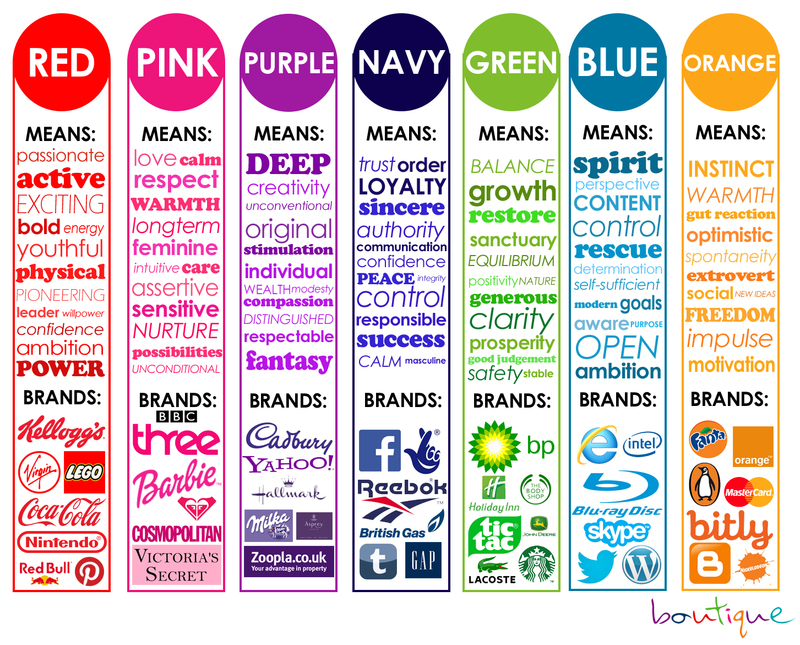 In order to create an effective brand identity you need to understand how the colours you choose represent your brand. Do you want to be seen as luxurious and royal? Then perhaps bring some purple into the mix. Cadbury for example, has chosen it’s hue of purple to help establish its chocolate bars as something of a luxury, a treat, something indulging. Brands carefully choose their colours to represent how they want to be perceived. In the below image you can see how Virgin’s red gives the company a sense of excitement or boldness, whilst the Navy chosen for Facebook suggests trust, communication and loyalty. When you are creating a brand identity you need to choose your colours carefully. Do you want your company to be seen as warm and optimistic (Orange) or balanced and natural (Green)? The colours you use within your logo and identity are a huge part of how your company is perceived and can help you communicate your brand values to your target audience. Usually, companies use more than one colour within their branding, and you might have noticed they are nearly always contrasting. For example, look at the IKEA logo. Here they use blue and yellow, which could be to show IKEA is trustworthy, fun and warm. 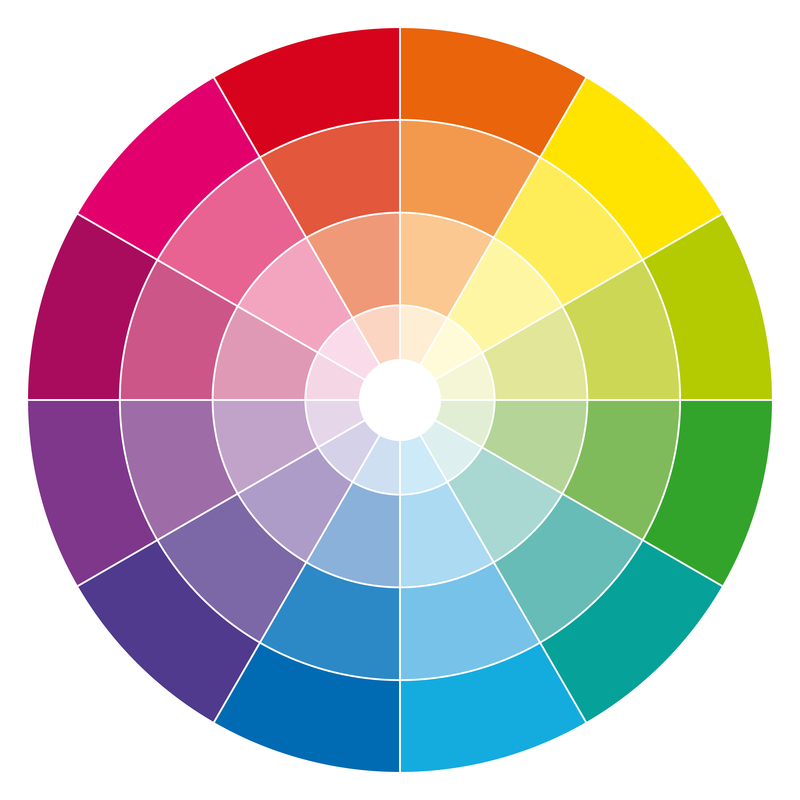 Choosing contrasting colours helps your branding to be easier on the eye and easier to view. It doesn’t matter what industry you’re operating in, it’s pretty certain you’ll have competition. It’s important to check out your competitors and see what colours they are using. You’ll usually find that the competition all use one or two colours regularly, it might be a good idea to choose different colours to help you stand out from the crowd. If you take Google as an example, they went against the more corporate blues, blacks and greys of most technology companies and created a logo that was multi-coloured to help create a more fun, quirky perception. Whilst it may have worked for Google, using too many colours is generally a bad idea in your branding. If you use too many colours you might just end up with some pretty bad designs. By having too many colours, your branding can be overwhelming, confusing and have no clear identity. Finally, it’s really important to ensure that your chosen colours are used both online and in print. For example, on your website, social media, flyers, business cards and posters. If you don’t do this, your brand will look inconsistent and send out mixed messages.